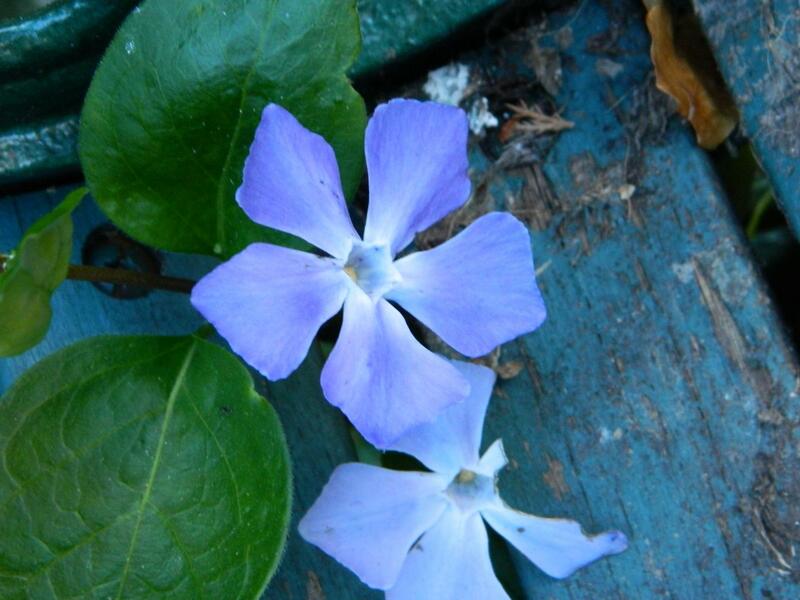 Vinca major is a good climber but can grow robustly and actively on the ground and can therefore be a bit of a nuisance as its stems can root just about anywhere. However it does give lovely jewel of vivid blue flowers and its leaves are so green and beautifully shiny with yellow shade in the middle. Maculata flowers in the spring. So it needs a good pruning to control its growth after flowering or train it to climb into a bush or shrub to co-exist.